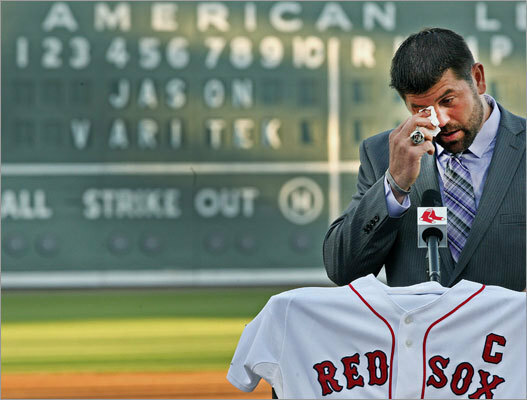 Catcher Jason Varitek played his entire major-league career with the Red Sox since his debut in 1997, and ended it on March 1, 2012 at a retirement news conference at JetBlue Park in Florida. Varitek appeared in more than 1,500 games for the Red Sox, won two World Series and was an American League All-Star in 2003, 2005 and 2008. Scroll through the gallery to review his career highlights.